New York Giants head coach Ben McAdoo was fired on Monday, one week after benching Eli Manning. Manning is now expected to regain his job as the starting quarterback. Manning lost his streak of 210 consecutive starts, and now his streak of one consecutive non-starts is also coming to an end. 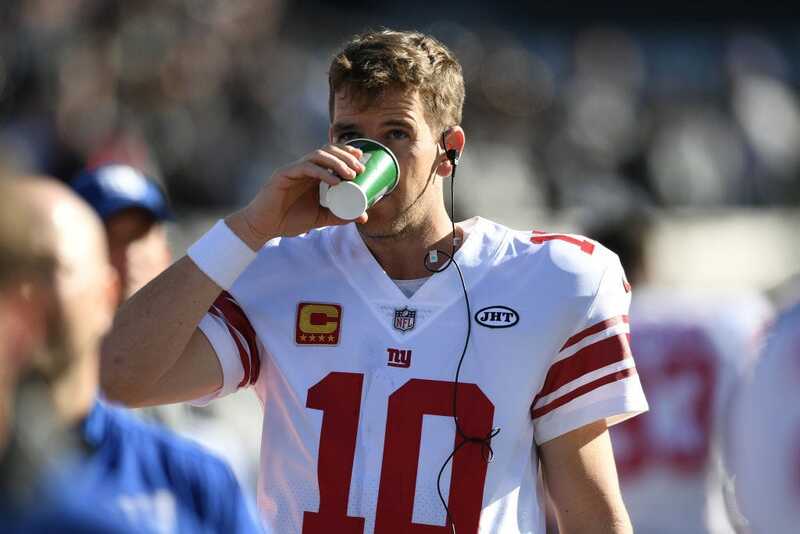 It looks like Eli Manning’s streak as a backup will come to an end just as quickly as it started. Manning’s streak of 210 consecutive starts came to an end this past weekend when then-head coach Ben McAdoo benched the long-time New York Giants quarterback in favour of former New York Jets draft bust Geno Smith. But now that McAdoo is out as coach, it sounds like Manning is back as the starter. ESPN’s resident NFL insider, Adam Schefter, sounded a bit more definitive, writing on Twitter, “Giants are going back to Eli Manning as their starting quarterback, per @JordanRaanan.” But that report appears to have been a reference to Raanan’s report. It is unclear if Schefter’s report was meant to convey new or updated information. The Giants lost to the Oakland Raiders on Sunday, 24-17, amid reports that McAdoo could be fired after the game. On Monday, McAdoo was fired, along with general manager Jerry Reese.